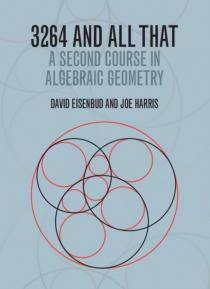 This book can form the basis of a second course in algebraic geometry. As motivation, it takes concrete questions from enumerative geometry and intersection theory, and provides intuition and technique, so that the student develops the ability to solve geometric problems. The authors explain key ideas, including rational equivalence, Chow rings, Schubert calculus and Chern classes, and readers wil… l appreciate the abundant examples, many provided as exercises with solutions available online. Intersection is concerned with the enumeration of solutions of systems of polynomial equations in several variables. It has been an active area of mathematics since the work of Leibniz. Chasles' nineteenth-century calculation that there are 3264 smooth conic plane curves tangent to five given general conics was an important landmark, and was the inspiration behind the title of this book. Such computations were motivation for Poincare's development of topology, and for many subsequent theories, so that intersection theory is now a central topic of modern mathematics.